Facebook provides extra security measures to Indian users due to lax cybersecurity laws in the South Asian country. India with all its diversity certainly has a lot of unsolved issues, especially when it comes to digital technology. Despite the large user base that the country represents, there are some major security loopholes when it comes to personal information online. This becomes an even bigger problem on social networks as there’s no way for users to prevent their photos being stolen. Identity theft is a common problem in India as the cyber security laws aren’t as robust as developed nations. Hence Facebook has provided users with options such as watermarks and download guard to keep your uploaded photos, especially your profile picture safe. Additionally, people from outside your friends list will no longer be able to tag others in your profile photos. Other features such as blue border, screenshot prevention etc. were also added for Indian users. HOW DOES THIS FARE AGAINST CRIMINALS? 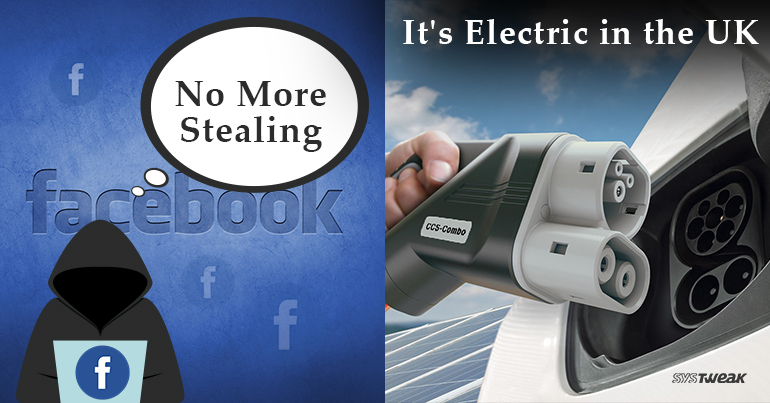 According to Facebook, these new security measures might be able to reduce thefts up to 75%. Another interesting feature is screenshot prevention, where you won’t be allowed to capture any profile photo. But sadly, this feature doesn’t work on desktop browsers, which could be considered as a loophole. Based on laws, creating a fake profile on Facebook is also strictly prohibited, especially when using stolen information from another profile. But surely no one gave the memo to cybercriminals and identity thieves in India as the situation is extremely bad in the country. BUT ISN’T IDENTITY THEFT COMMON IN OTHER REGIONS? It might come as a surprise, but Facebook is actually battling a global problem as identity theft is a menacing problem in almost every part of the globe. More than half the frauds committed in the UK are done online and a majority of identity theft cases are related to information uploaded on social media. This poses quite a challenge if Facebook and other social media enterprises want to uproot this evil. Therefore, India seems to be more of a testing ground before these security features are made public globally. New gasoline and diesel vehicles will no longer be on sale after 2040. WHAT IS THE REASON FOR THIS BIG CHANGE? Although automobiles powered by petrol and diesel engines have been industry mainstays for almost a century, environmental agencies clearly want a change. Under rising pollution levels, more and more motorists and manufacturers are focusing their attention towards electric energy. According to a recent interview with Mr. Michael Gove, Britain’s Environment Secretary, sale of new vehicles with diesel and electric driven train will not be available in showrooms. He further explained, “poor air quality is the biggest environmental risk to public health in the UK and this government is determined to take strong action in the shortest time possible.” This certainly means that the UK government is preparing for the big switch from fossil fuel energy to electric energy. ARE THE PEOPLE READY FOR SUCH CHANGE? Readers might argue that there are not as many electric cars on road as compared to petrol or diesel ones. But that is certainly understating fact that electric charging stations are quickly outnumbering gas stations in the UK. With over 70% reduction in the number of Gas stations, experts have speculated electric stations to outgrow their predecessors in the next 3 years. 5 Cool Ways to Download YouTube Videos Offline!